Our OMG! 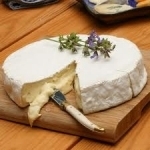 cheese is a sumptuous triple cream white mould cheese is made by a similar process to a camembert, but with the additional cream to the cheese-milk to enrich the texture and flavor. OMG will be your reaction at the very first bite. The rind is white when young, maturing to a straw colour when fully ripened. As with all cheeses, it should be allowed to come to room temperature for 30 to 60 minutes before eating. The cheese texture changes over a 6 week period, going from a firm chalky texture to a soft gooey texture by the 6th week, which is usually the best before date. People who like a strong flavour can eat this after the best before date. This cheese, although created initially by a similar process to a Camembert, is made with a fine layer of vegetable ash beneath the white-mould rind. In addition to giving a pleasant surface texture and resistance to taste, this slows the proteolytic activity of the moulds, enabling the cheese to ripen more from within, giving a somewhat milder flavour. This is a camembert style cheese, rich in flavor and texture, with a delicious white rind, which, when allowed to ripen to maturity contains a pale straw colour. As with all cheeses, it should be allowed to come to room temperature for 30 to 60 minutes before eating. Traditionally, Brie was made in 20cm (8") diametre wheels. Today, however, it is available in a variety of sizes. When fully mature, the rind of the cheese will show slight pigmentation and the interior will be soft and creamy. 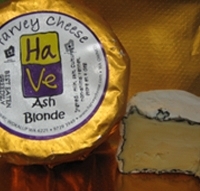 The flavour of Brie will vary depending on the age of the cheese. 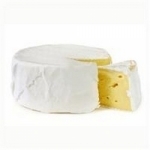 At its peak of maturity, Brie has a deliciously creamy flavour with rich mushroomy characteristics.